Rent Grande Lakes Orlando | Corporate Events | Wedding Locations, Event Spaces and Party Venues. Grande Lakes Orlando offers you access to central Florida's most sought-after destination. Two of the greatest names in hospitality, The Ritz-Carlton and JW Marriott, accommodate each moment with grace and comfort. Discover the timeless charm of Florida. Grande Lakes offers a total of 1,582 rooms, over 150,000 square feet of meeting space with six ballrooms all on one level and 40 breakout rooms on the lower level and over 107,000 square feet of outdoor space. 107,000 square feet of outdoor space with breathtaking panoramic views. Farm to table, why not take the table out to the farm? Grande Lakes Orlando is pleased to announce Whisper Creek Farm, a 7,000-square-foot fruit and vegetable garden with an adjoining 11,000-square-foot outdoor event space. 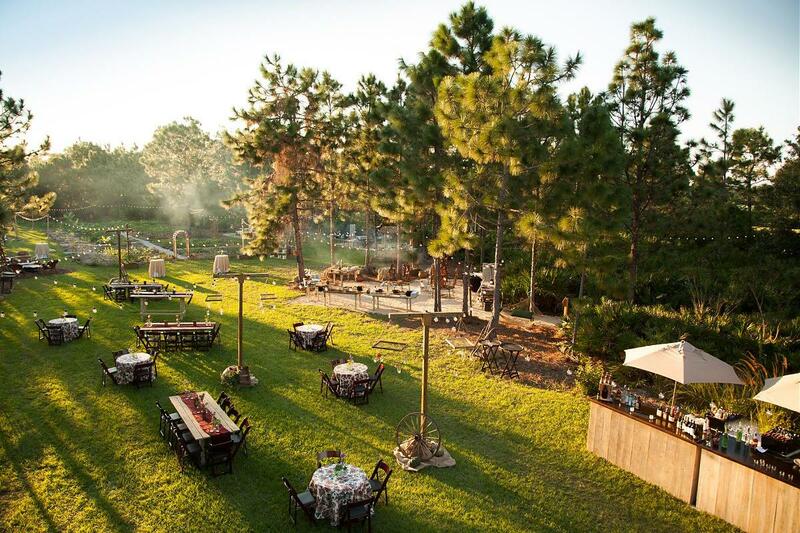 Whisper Creek Farm, set amidst the 500-acre Grande Lakes estate, creates a truly authentic farm-to-fork experience for groups of up to 450 people (seated) or 600 (reception). Products from the farm are featured at events as well as used throughout the resort at both The Ritz-Carlton and JW Marriott, in restaurant dishes, beverages, and even spa treatments at the award-winning Ritz-Carlton Spa Orlando. Minimum of 50 people required for Farm Events. Whisper Creek Farm Events are in exclusive partnership with Grande Lakes Destination Services. Transportation, lighting, and power are required and not included in the menu pricing. Over 47,000 square feet of flexible meeting space accommodates groups as intimate as 10 guests up to 1,650 guests at a reception in the opulent Ritz-Carlton Ballroom. Guests can also enjoy the natural beauty of central Florida on 64,000 square feet of outdoor function space. From The Boardroom to Poolside, The Ritz-Carlton Orlando, Grande Lakes balances stellar recreation with sophisticated style. Featuring over 100,000 square feet of flexible meeting space to flawlessly execute large groups with the same elegance and panache as intimate small groups. Guests can also enjoy the natural beauty of central Florida with our impressive expanse of outdoor function space. From the Boardroom to Whisper Creek Farm, the JW Marriott Orlando, Grande Lakes balances exceptional recreation with graceful style. Whisper Creek Farm, unique group farm-to-fork experiences on a 7,000 square-foot fruit and vegetable garden with an adjoining 6,000 square-foot outdoor event space.